As well as Mieu full body suits. 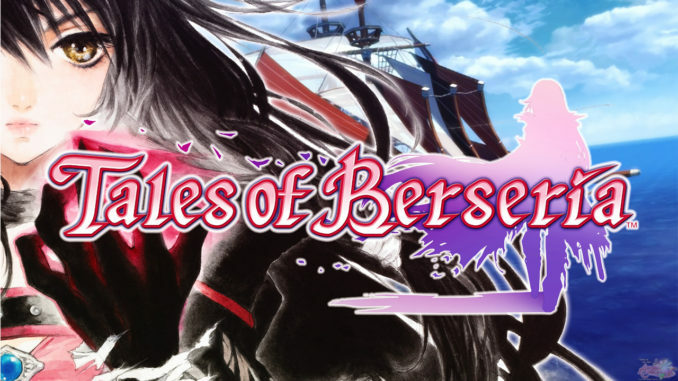 The info comes from a sneak peek of Dengeki PlayStation's Volume 620 (full image cover here) which will officially be released tomorrow, August 10. UPDATE: We've added the scan of the DLC. 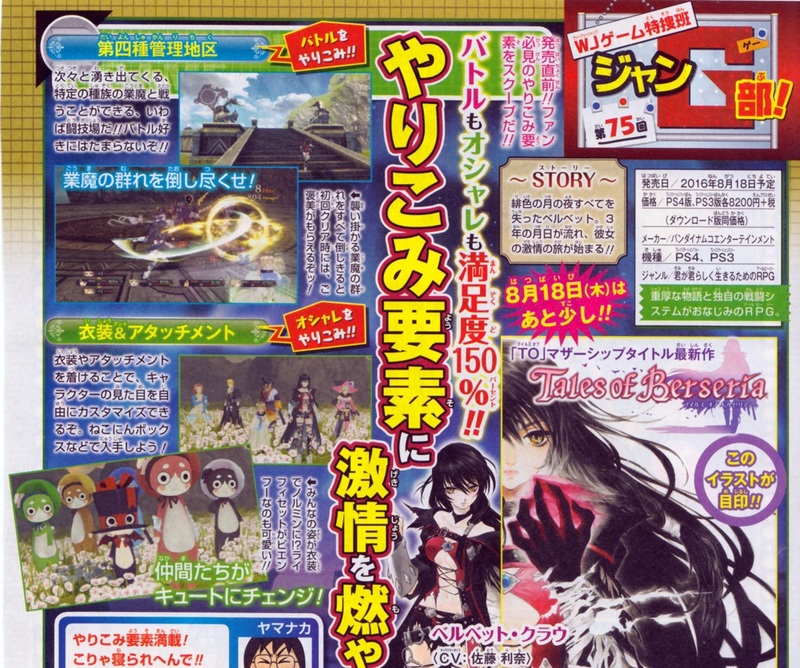 This issue of Dengeki also comes with a 16-page booklet covering Tales of Berseria. The info on the booklet just covers everything about the game so far, so we won't be putting the entire thing up. You can order the magazine via Amazon Japan, they ship overseas. 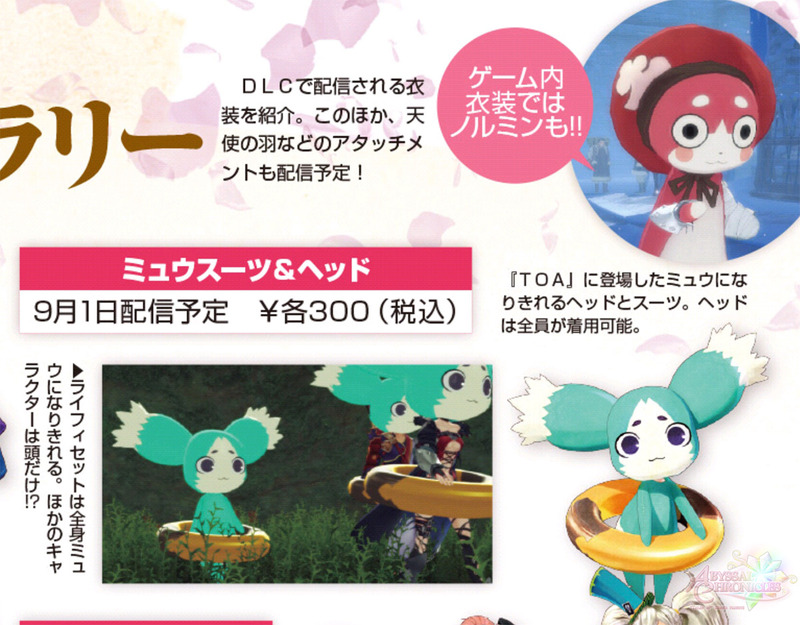 In addition, the scans also show Mieu suit and heads for the characters. The Normin one on the top right is of the same variety, but obtained in-game (not DLC). 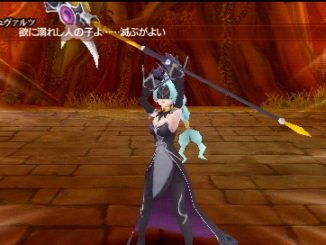 Below that is new DLC for the girls, wearing Magician's Troupe costumes. 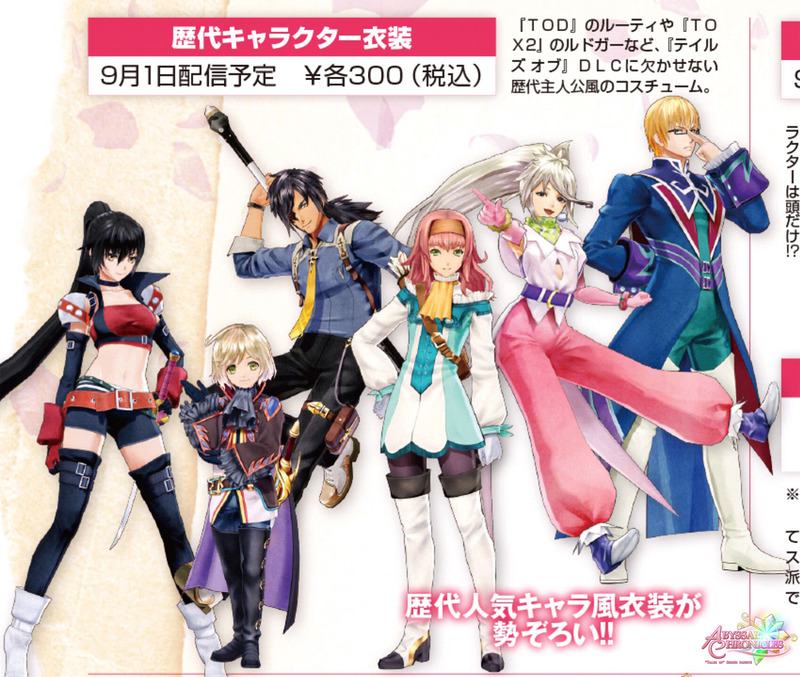 The Tales of Series cameo costumes, the Mieu suit and the magician costumes will all be out on September 1, 2016 for 300 Yen per costume per character via the Japanese PlayStation Store. 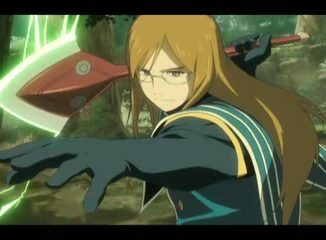 Despite the new game elements, it really feels like a Tales game. 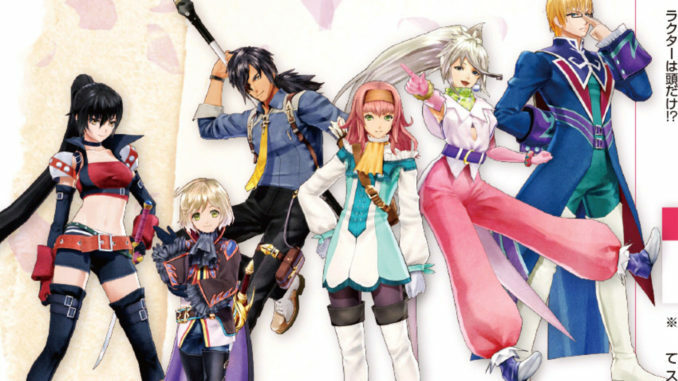 It's packed with the usual charming story and pleasant characters that Tales is known for. 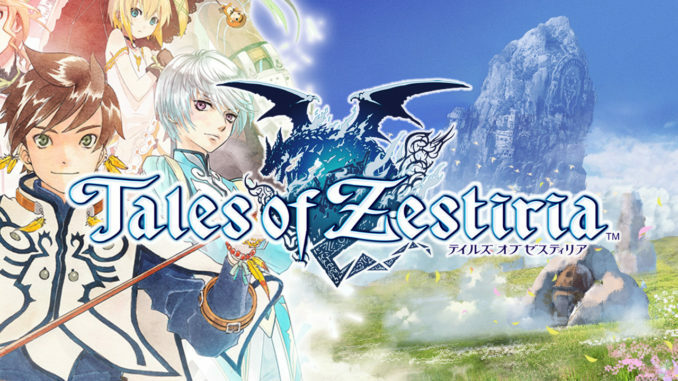 Though not having Tales of Zestiria won't matter, those who have played will notice some similarities. Battles give a more enjoyable feeling more than ever in the series. The story will really fascinate the player. 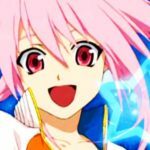 Those new to the series may find the number of things to learn about playing the game a bit overwhelming. Any RPG lover will undoubtedly enjoy it. Clearing sub events adds tens of hours in gameplay. It's been a while since I've played a game with such density. Rina Satou's voice acting skills as Velvet are really good. I wish we obtained the item to move faster onto the field a little bit earlier in the game (I think they mean the Geoboard). You can check out the full scan of the review here. 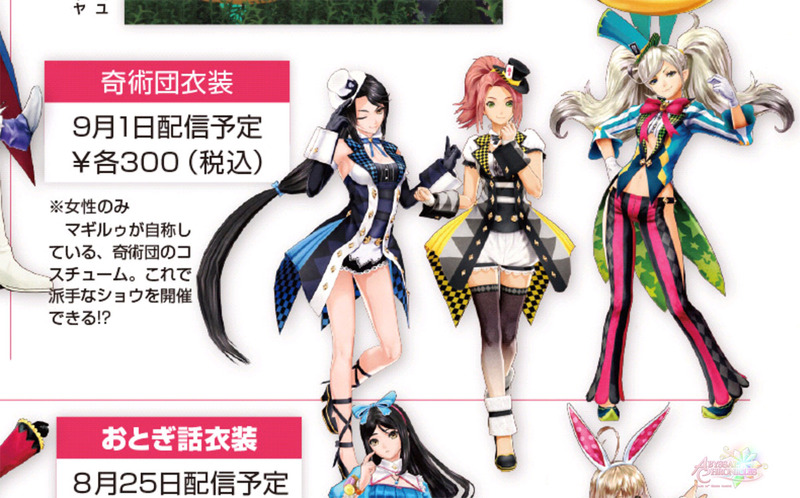 Also, we missed this, but the last issue of Weekly Jump apparently showed full body suit Normin costumes (plus Bienfu) for the characters, as well as what seems to be an arena-like area. The Normin costumes are in-game costumes, not paid DLC.